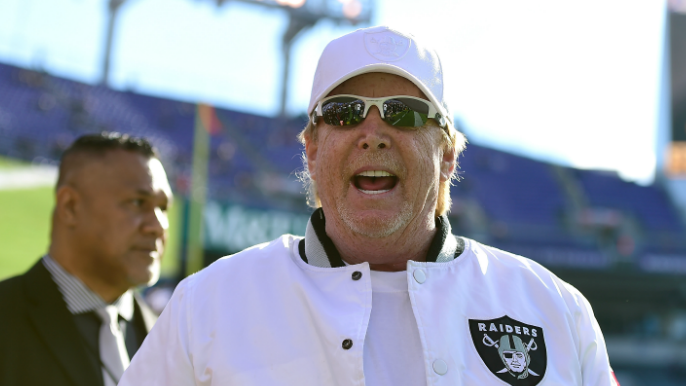 Well, in what has been a mostly painful and drawn-out process by the Raiders in their pursuit of leaving Oakland for their newfound kingdom in Las Vegas, yet another chapter has seemingly unfolded in this comedy of errors by the Raiders front office. In a report from Mercury News columnist Dieter Kurtenbach, Matt Haney — the District 6 supervisor for the city of San Francisco (where Oracle Park resides) — has come forward and said there has been no deal agreed upon between the the Giants and the Raiders regarding playing in San Francisco next season. Furthermore, he added that there have been no real conversations regarding logistics with the city and county to date, and is opposed to the idea all together. Some of the major reasons for the negativity surrounding this move, according to Kurtenbach, are concerns over issues like parking availability, added security, and uncertainty surrounding the Warriors schedule at the new Chase Center. So let’s just get this straight. Not only are the Raiders currently being sued by the city of Oakland for negotiating in bad faith… Not only have they not cleared the move to play at Oracle Park next season with the NFL… Not only have they not been given the blessing by the 49ers in getting them to waive their territorial rights to San Francisco… But the Raiders haven’t even started real conversations with the Giants nor the city of San Francisco about the potential move? Instead of a clean split from the Bay Area, it seems that Mark Davis has opted for slowly removing the band-aid, forcing Raiders fans to feel each individual arm-hair being ripped out. They may be moving to Las Vegas next year, but for Davis, Lady Luck has eluded him thus far.